Brahmasutras constitute the central text of the Vedanta philosophy. 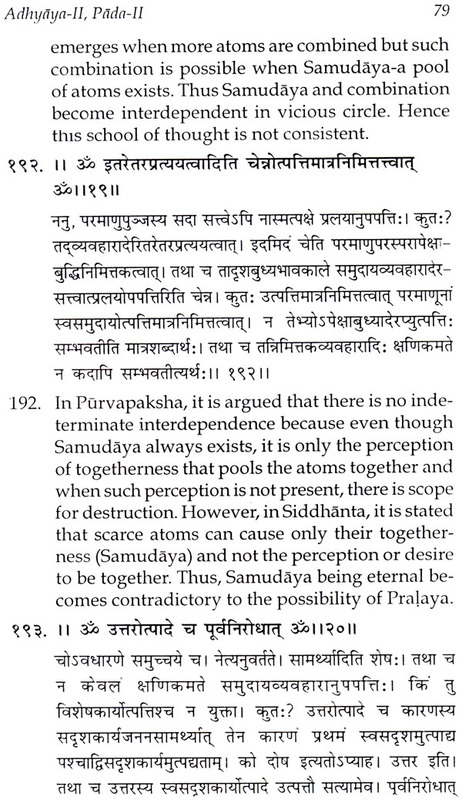 The Vedanta doctrines enshrined in the Vedas and Upanishads are critically summerised in the Brahmasutras. The text of Brahmasutras is handed down in each tradition and in the Dvaita Vedanta tradition there are 564 sutras. They are arranged in four Adhyayas and each adhyaya consists of four padas. Within each pada the sutra's are arranged into certain adhikaranas consisting of one or more sutras. The Brahmasutras have been commented upon by great Acharyas, and such commentaries are called Brahmasutrabhashyas. Sri Madhvacharya, the founder of the Dwaita vedanta system of philosophy also wrote illustrious Bhashya on the Brahmasutras. Some great Saint- scholars in the Dwaita vedanta tradition have also written compendium on the Brahmasutras highlighting' the meaning, as per the tradition contained in the sutras. The Tantra-dipika of Sri Raghavendratirtha and Sutradipika of Sri Jagannathatirtha are the excellent works under this category. The present work puts forward the gist of Brahmasutras in English based upon the Tantradipika of Sri Raghavendratirtha and Sutradipika of Sri Jagannatha tirtha.This work helps in understanding the purport of the Brahmasutras without going into disputation or refutation. The original text of Sutradipika and index of sutras added here enhance the utility of the book. Dr. V.R. Panchamukhi, one of the renowned economists of India obtained his M.A. in economics with first rank achieving the Chancellor's Gold Medal from Bombay University and later Ph.D. from Delhi University. He is an authority on the analysis of international Economics, Development Economics and Econometrics. 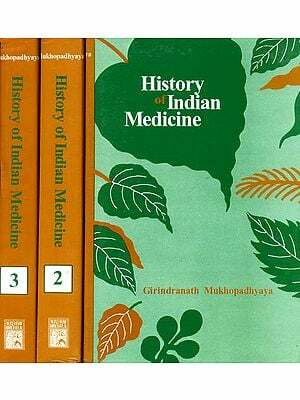 He studied Sahitya, Vyakarana, Vedanta and Sastras under the scholarly instruction of his father Vidyaratna, Mahamahopadhyaya Shri R.S. Panchamukhi, recepient of President's Certificate of Honour. Dr. Panchamukhi has many books to his credit on Economics as well as various Sastras. 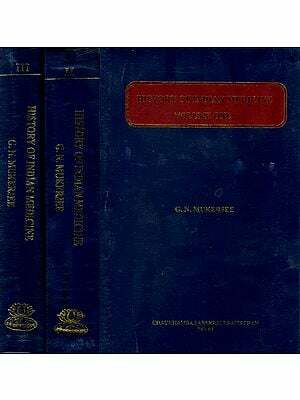 The two books written by him viz. Bharatiyam Arthasastram and Bharatiyam Arthikam Sarvekshanam demonstrated that Sanskrit could be used to communicate the thoughts of the present times. He is an expert of the United Nations Organisations in Economics. He has been honoured by various religious and cultural associations with many titles like Sastra Kovida Sastra Bhusana etc. He has received many awards like award by Shri Gnyan Kalyan Datawya Trust, New Delhi, Delhi Sanskrit Acadamy Award, Rajyotsava award by Government of Karnataka etc. He served till recently as the Director General of Research & Information Systems, New Delhi. At present he is the Chancellor, Rashtriya Sanskrit Vidyapeetha, Tirupati, Chairman, Indian Council for Social Sciences Research, New Delhi and Member, Tirumala - Tirupati Devasthanams Trust Board, Tirupati. This volume provides Sanskrit text of the commentary named Sutra Dipika by Sri Jagannatha Tirtha, the saint philosopher of the eighteenth century as also an insight into the essential purport of Brahma Sutras in English, according to the Madhwa Philosophy. The latter is based on the Sutra Dipika of Sri Jagannatha Tirtha and the Tantra Dipika of Sri Raghawendra Tirtha- saint philosopher of the seventeenth century. I undertook the task of presenting a succinct account of the main messages of Sri Brahma Sutras, because I felt that there was not any book giving in brief, the interpretations of Sri Brahma Sutras, according to Sri Madhwacharya's school of thought. Most of the books on the Sastras, often, engage in long discussions on textual polemics and the readers are often left with doubts as to what is the main message of the Sutras. As is well known, 'Sutra' means an extremely brief, enigmatic purport-full statement of the Sastras. A Sutra should have only few syllables. It should not have any 'confusion. It should have profound meaning. It should have comprehensive meaning. It should not have any textual or other errors. 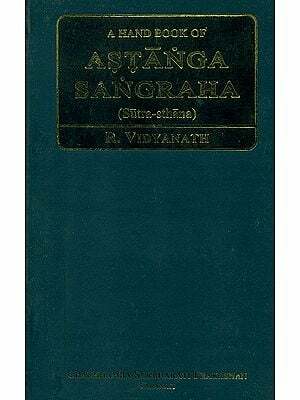 There are many types of Sutras in the literature of Sastras. There are Dharma Sutras, Grhya Sutras, and Yoga Sutras etc. The convention is that the Brahma Sutras of Sri Badarayana are the most prominent ones of all the Sutras and the word 'Sutras', even without any qualifying adjective, would ideally refer to the Brahma Sutras and not to the other types of Sutras. The 'Sutra' tradition of preserving the essential messages of the massive Sastric literature reflects a very interesting methodology of education and research, in the ancient education system, which is worthy of emulation in the present times. The 'Sutras' are, invariably, collection of words and phrases, which, on mere apparent scrutiny, appear to be disjoint and without any structure of a sentence. It is only the profound and the perceptive minds of the great Acharyas, which can cull out meaningful sentences out of each Sutra and also connectivity with the previous and the subsequent Sutras. Sri Raghawendra Tirtha was the first saint philosopher in the Madhwa tradition, who first composed an independent commentary on the Brahma Sutras, called Tantra Dipika, with the sole objective of showing the methodology, -the Tantras- that need to be used to draw out full sentences out of each Sutra and then presenting the sentence that emerges, by the application of these Tantras, for each Sutra. 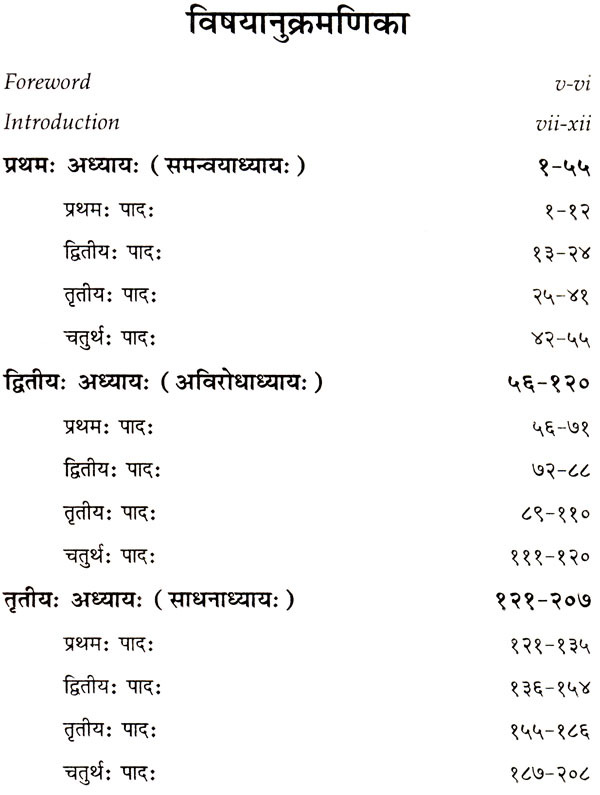 Sri Raghawendra Tirtha also explains the significance of each word used in the Sutras, and also discusses the Pramana Vakyas relevant for each Sutra. Tantra Dipika is an extremely useful glossary on the Brahma Sutras, which is appreciated both by the beginners as also by the scholars, who are already initiated into the subject. Of course, Sri Raghawendra Tirtha, as is often his modesty and style, states that he has only compiled at one place, the different explanations given by his Gurus and Parama Gurus. Sri Jagannatha Tirtha, who appeared on the Madhwa tradition of Granthakaras, almost about hundred years after Sri Raghawendra Tirtha, has again undertaken a somewhat similar task of presenting the main purport of each Brahma Sutra in very simple few sentences. The Sutra Dipika of Sri Jagannatha Tirtha, appears like further abridgement of the Tantra Dipika of Sri Raghawendra Tirtha. 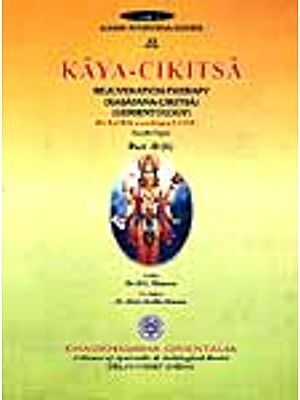 Of course, the Sutra Dipika serves eminently the purpose of giving to the reader the essential meaning of each Brahma Sutra, in its own style and elegance, Sri Jagannatha Tirtha has also composed a Grantha called, Bhasya Dipika, which is aimed at explaining in simple terms the main arguments contained in the Brahma Sutra Bhasya, of Sri Madhwacarya, which is otherwise very terse and brief. All of us, desirous of studying Madhwa Sastra, owe a deep debt of gratitude to Sri Raghawendra Tirtha and to Sri Jagannatha Tirtha, for almost spoon-feeding us with the profound nectar of Sri Madhwa Sastra. The Brahma Sutras were composed by Sri Badarayana with the basic objective of conveying to the students of the Vedas, the essential meanings of the Vedas. These Sutras are divided into four Chapters-Adhyayas. Each Adhyaya is further subdivided into Sections- Padas, and Subsections- Adhikaranas. What a systematic research methodology,' enunciated for writing a good meaningful book! The first Adhyaya- called as 'Samanvayadhyaya' , is aimed at demonstrating that the Supreme Brahman is full of all Attributes. This inference is brought out by arguing that all the 'words (nouns)' and the adjectives or characteristics (Lingas), ultimately (Parama Mukhya Vrtti), refer to Supreme Brahman only. The Second Adhyaya, known as 'Avirodhadhyaya", is aimed at demonstrating that the Supreme Brahman is free from any Blemishes- Sarva Dosa Dura. This inference is brought out by arguing that there are no contradictions in the meanings of the different words, phrases and the con- texts of the Sruti Vakyas. Thus the first two Adhyayas establish the unequivocal supremacy of Lord Narayana, arguing that he is Sarva Guna Paripurna and that He is Sarva Dosa Vidura! This conviction would obviously raise two related questions: What are the methods of realising the Brahma Saksatkara and what is the nature of the ultimate Phala of the Sadhana Marga? Answers to these two significant questions are provided in the last two Adhyayas.